Qualcomm can already achieve peak download speed of 1.2 Gbps over 4G cellular network in Snapdragon 845 processor thanks to its Snapdragon X20 LTE modem, but the company has been working on an even faster modem with Snapdragon X24 modem support LTE Cat.20 download speed of up to 2 Gbps. That’s even faster than Gigabit Ethernet, at least in theory, as with all wireless technologies you can only achieve the maximum throughput in the lab, and upload speeds will be lower – but still decent – at up to 316 Mbps. You’d also have to find a Telco that can handle such speeds. 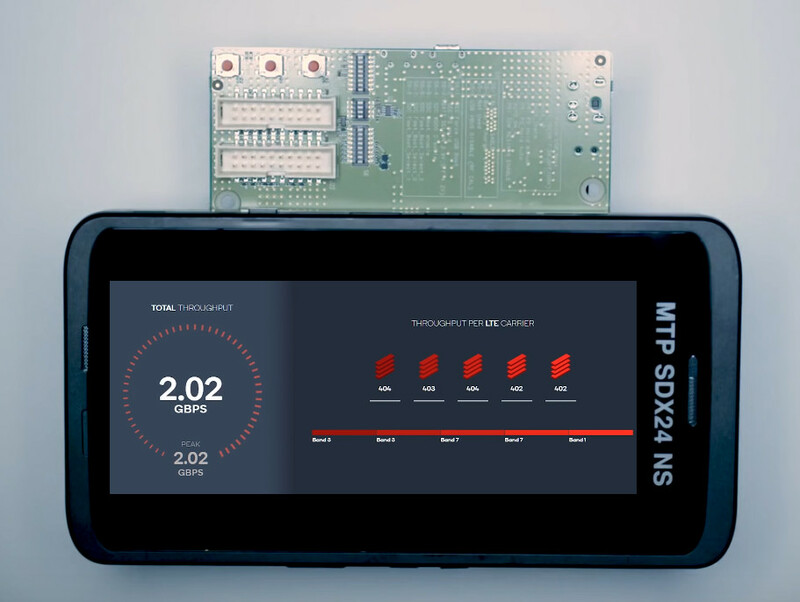 The Snapdragon X24 LTE modem will be paired with an RF transceiver built in 14 nm FinFET process technology, and Qualcomm QET5100 Envelope Tracker, enabling support for 60 MHz envelope tracking for up to 3x uplink carrier aggregation channels with simultaneous High Power User Equipment (HPUE) support in Band 41. Snapdragon X24 has started sampling to Qualcomm’s customers and the first commercial devices are expected by the end of 2018. The modem will also be demonstrated at Mobile World Congress 2018 in conjunction with Ericsson, Telstra and NETGEAR. The product page may have some more information.